I am in a frenzy for Fall. As soon as September rolls around, I'm instantly ready for the cool, crisp Autumn weather to float on through. Unfortunately, it rarely happens that way and I'm stuck with Summer weather for at least few more weeks. While temperatures continue to hover around the mid to high 70s, I'm already anticipating my first Fall ensemble...hopefully by the 23rd (the official first day of Autumn) I'll be pairing my outfits with boots and not sandals. While I continue to dream of cooler temps, I wanted to share my must-have boots for this season. I cannot wait to add these babies to my closet...and SOON! These leather boots are sure to fit perfectly within my wardrobe and something about them just screams my name! I am VERY particular about, well, a lot of things, but especially boots. The toe can't be too pointy or too square, the color has to be just the right shade to suit my fancy, and they have to be walkable. I can walk in just about any pair of shoes I slip my foot into - tall or short, spike heel or wedge - but they have to be at least a little comfortable. Basically, I don't want blisters and I don't want my feet to be killing me by the end of the day. 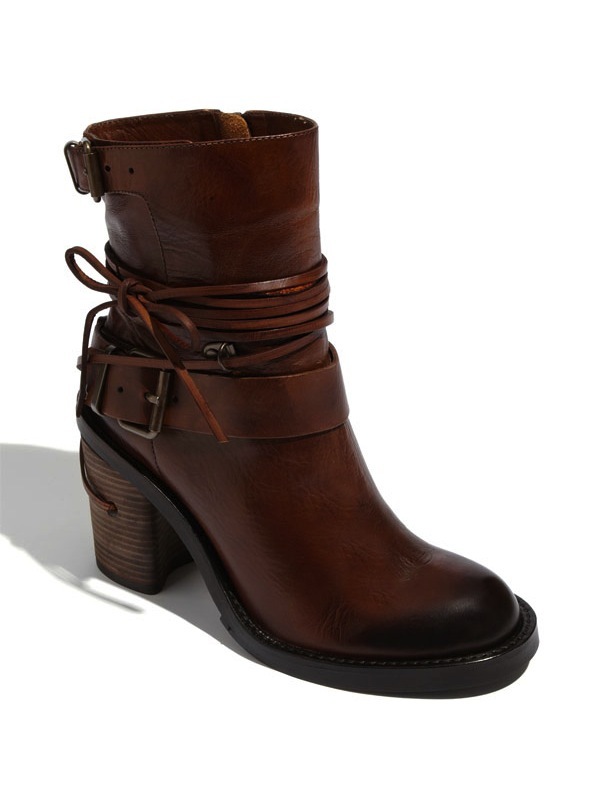 I will certainly suffer for the sake of fashion from time to time, but these everyday boots have to be wearable. I'm prepared to hand over my hard earned cash, but I'll have to preorder them online if I want them! And boy, do I want them.